Kegler Brown is pleased to announce the selection of Eric Duffee and Kate Ferguson as firm directors. Duffee primarily practices in the areas of business, mergers and acquisitions, intellectual property, and estate planning. 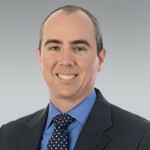 Since joining the firm in 2006, he has been a crucial member of numerous transactions for firm clients including a recent $37.6 million cash-and-stock merger of Ohio Heritage Bancorp with Peoples Bancorp Inc. Clients have testified to Duffee's counsel and stated that "his expertise and demeanor on my business matters has enabled me to make sound decisions while knowing all of my options." Duffee received his Juris Doctorate from The Ohio State University Moritz College of Law in 2006. Prominently focusing in the litigation practice area, with an emphasis on business and employment litigation, Ferguson has been a member of the firm since 2005 after graduating from The Ohio State University Moritz College of Law with her Juris Doctorate. She is well-versed in the practice and has both first chair trial court and appellate court experience. As a key litigator in Ohio, Ferguson has served as an advocate for clients in numerous matters, including successfully representing UPS, Inc. in its Ohio damaged package litigation, with several wins at both the trial court and appellate court level. Ferguson also successfully defended Worthington Steel in a commercial arbitration matter wherein the arbitrator determined that Worthington Steel had no liability.